Can a website detect the spread of Zika? Aedes aegypti mosquitoes were photographed at the Laboratory of Entomology and Ecology of the Dengue Branch of the Centers for Disease Control and Prevention in San Juan. Those who open it can follow a link to a website developed in Boston, where they can anonymously report whether they have experienced any (or none) of 10 symptoms, such as fever, cough, body aches, and headache. In this way, the Flu Near You project has been tracking the progress of influenza since 2012. But starting Feb. 22, subscribers started receiving questions about six additional conditions, including rash, red eyes, and joint or bone pain. Recognize those symptoms? They are among the signs of Zika -- the mosquito-borne virus linked to birth defects and temporary paralysis in the Caribbean and much of Latin America. The added symptoms are an attempt to detect Zika’s expected arrival in the continental United States. 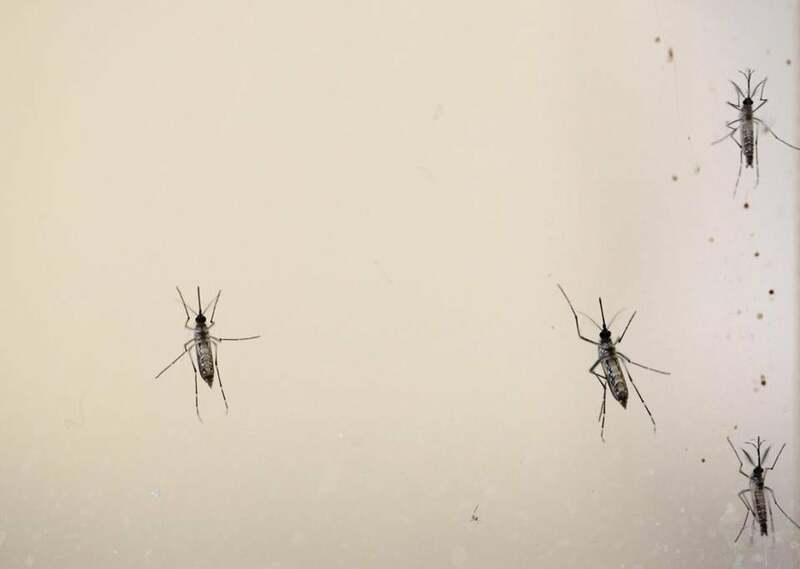 They may also help identify clusters of two other tropical diseases, dengue and chikungunya, which have already emerged in small outbreaks in Florida and Texas -- and which have the same symptoms. Flu Near You was created by disease trackers at Children’s, Harvard Medical School, and the Skoll Global Threats Fund. Its expansion into symptoms associated with Zika will test the fledgling science of “participatory surveillance,” in which citizens report their illnesses directly to researchers and authorities tracking the trajectory of diseases. Potentially, this method can detect outbreaks faster and cheaper than reports from physicians and from laboratory testing, because it taps patients who may not even go to the doctor and who reply instantly. But it lacks precision: People are merely reporting symptoms, without medical confirmation, and many illnesses have overlapping symptoms. So, it’s far from clear whether the Zika questions in Flu Near You will yield useful results. Participation has always been low, even when the questions were only about flu. Although it takes just a few seconds to reply, most subscribers ignore the weekly e-mail; only 15,000 to 20,000 people file reports each week. Brownstein said Flu Near You hasn’t calculated the minimum number of reports needed to get useful information about Zika, because so little is known about the virus. He added that Flu Near You has good levels of participation in Florida and Texas, among the places where Zika is likely to first take hold because the mosquitoes that carry it are endemic. The species of mosquito that carry Zika are also blamed for dengue outbreaks in both states, and chikungunya cases in Florida. “There is very clear evidence that it works well for influenza,” Johansson said, noting that the reporting on Flu Near You tracks closely with CDC’s compilation of flu-like illness reports from doctors. Emerging illnesses are more difficult to track than familiar ones like flu, he said. With a new infection, the reporting systems are often not in place, so programs like Flu Near You might be able to detect disease clusters faster.